One of the most famous place for hikers, bikers and surfers in South West Pennsylvania is OhioPyle. It’s the Summer paradise. I always love going to ohiopyle, doesn’t matter whether it summer or frozen winter. It’s about 90 minutes drive from Pittsburgh. 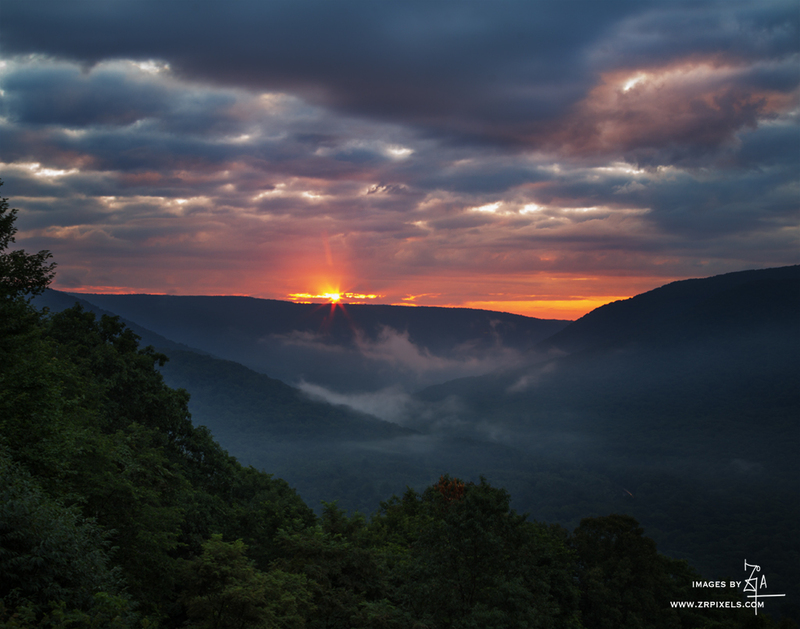 I started at 4:30 AM from Pittsburgh so that I could be at Baughman Rock Overlook before sunrise. Baughman Rock overlook is situated just outside of Ohiopyle on Sugarloaf Road. 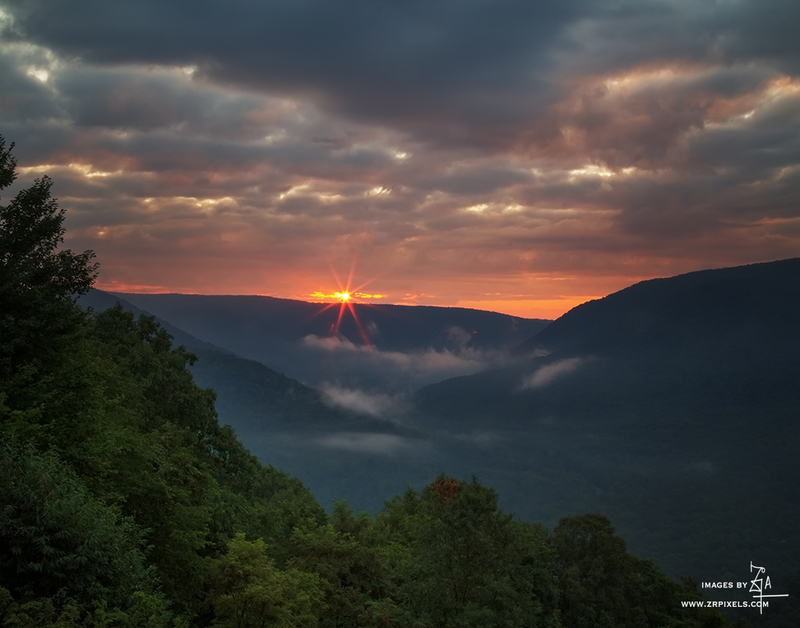 This scenic overlook provides a stunning view of the Youghiogheny River Gorge above Ohiopyle. It was nice to see some photographers from Greensburg, PA in the early morning on this isolated place. For few moments, I thought coming up early here is going to be in vein because of overcast. The fellow photographers from Greenburgh they left early thinking that the sun show up. But I decided to wait for few minutes, I know Sun will definitely show up behind the clouds. So the bottom line is “You need a patience”. Thank you for looking. All high quality images are available at http://www.zrpixels.com.